Since I started talking with Yesenia my outlook on life has changed. I’m addressing issues I have within myself and working on the exercises she’s given me. She really listens to what I have to say and explains situations to me so I can really see the whole picture of what is going on. I’m grateful to have been paired with a counselor I connect with. 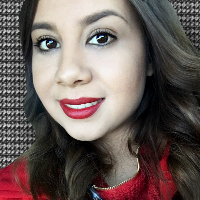 Would you like to write a review for Yesenia Acosta? We'd appreciate if you can spend a couple of minutes to write a short review for Yesenia Acosta (MSW, LCSW). This review would be shared with Yesenia Acosta. It may also be posted in our website or in Yesenia Acosta's profile but it would be anonymous and your identity would be kept completely confidential.